By now, I believe most of you are already fairly familiar with the difference between chemical and physical sunscreens.Â For those who don’t, chemical sunscreens contain synthetic chemical substances to absorb UV radiation while physical sunscreensÂ contain inert mineral particles specifically zinc oxide and/or titanium dioxide to reflect UV rays like a mirror.Â However, I’veÂ also mentionedÂ that physical sunscreens may actually reflect and absorb UV rays in my entry mineral-based sunscreens are the best. 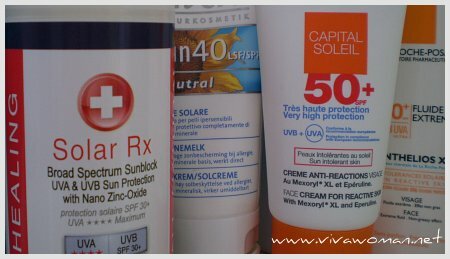 I prefer physcial sunscreens because it is a personal choice and I like to believe that zinc oxide is the most superior sunscreen ingredient based on the FDA sunscreen monograph.Â Â I ignore most of the chemical sunscreens out there because I am not interested in using so many synthetic ingredients on my skin. HOWEVER, that does not mean that chemical sunscreens are inferior.Â Â Â On the contrary, I think highly ofÂ the European chemical sunscreen formulations containing Mexoryl XL and SX or Tinsorb and I sometimes use them.Â Whether or not these ingredients are as comparable or better than zinc oxide I cannot say but it should be noted that a sunscreen formulation ought to be viewed in totality rather than just based on one single ingredient. Unfortunately, there are no PPD ratings done for US produced sunscreens which I’m using; not even those containing high amount of zinc oxide.Â Hence, I’m not entirely sure how well my skin is protected against the UVA raysÂ underÂ our hot sun.Â As for Japanese sunscreens, all I know is the PA+++ means a PPD of more than 8 but I don’t know exactly how much.Â Thus, when I head out to the beach or the pool under the hot sun, I actually use La Roche Rosay Anthelois Fluid Extreme or XL Lait Veloute with a PPD28 just to be sure.Â Yes I do, because I have a huge pigmentation problem. Hence,Â if you haveÂ pigment problems or photosenstive conditions and you don’t mind using a chemical sunscreen, I wouldÂ recommend you to go for European produced sunscreens because you can find out the PPD rating and how well protected are you against the UVA rays.Â La Roche Posay Anthelios XL is one you can try and I have a review here.Â The other one is La Roche Posay Uvidea XL with a PPD18 recommended by Pei Fang. Do I really need to reapply my sunscreen? 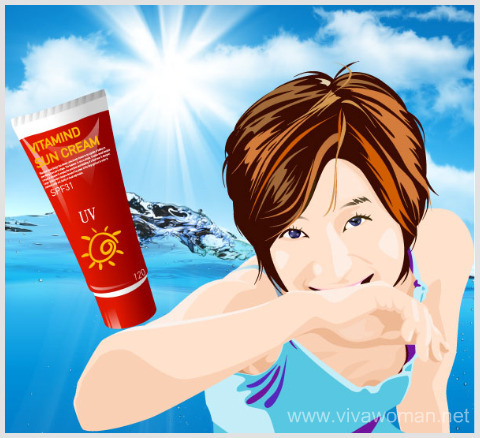 The best & the safest sunscreen ingredients Is Zinc Oxide the best sunscreen ingredient? Did my chemical sunscreen give me hyperpigmentation and melasma? How can i know how much PPD for Heliocare 90? it’s a European brand, right? thanks! Marj: I don’t seem to be able to find any info on its PPD. I know you can try calcalating PPD at this Ciba site. https://www.ciba.com/pccibasunscreensimulator/. It estimates PPD’s and SPF’s based on ingredient list and percentages. However, I hadn’t had much luck registering so I’m not sure how it works. The other way is to write in to the company to ask. I saw La Roche Posay in HK but it was so expensive – I couldn’t bring myself to pay RM100+ for a sunscreen. How much is it in Singapore? ParisB: I can’t remember exactly. The Anthelios Lait Veloute was S$30+ while I got the Extreme Fluide for under $20 cos of a special promo. 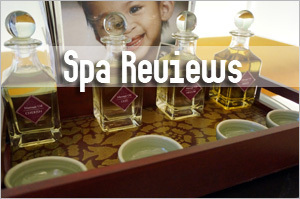 The LRP’s Uvidea is close to S$50. But there are often 20% discounts. I think Heliocare is American. From the description, it sounds wonderful! Pls write a review on it soon! pf: Haha…all of you are very Internet savvy! Okay, give me a couple of weeks to ensure the quality. i was wondering about a point about mineral products. Apparently, mineral makeup due to its high content of zinc oxides and titanium dioxides, they look quite ghastly in flash photographs. could this also be a reason for preference of usage of chemical sunblock or makeup bases rather than mineral bases by professional makeup artists? Raelynn: Yes, you’re right. There’s this shine in mineral makeup and usually the face can look really shiny/greasy in photos. The matt ones are slightly better. Mineral sunscreens on the other hand tend to give a whitecast, so that’s another problem…but some pple can only use that sort of sunscreens cos of sensitivity to chemicals. I’m not sure about makeup artists but my guess is they go with established brands that they’ve been using and these are usually not so natural in terms of ingredients. Normally, flash photography is used at night like dinners, parties, etc. Just a general question, wld anybody use sunscreen as base for evening makeup?? I’m comtemplating because I hardly attend such things and I don’t wanna buy a makeup base to use occassionally in view of the shelf life. Although I bought one recently, but I have not used. So, I might sell it. Actually, the makeup base I bought recently also has SPF lah. But I like my LRP Uvidea. I feel more protected from the sun. pf: Ya, it’s better to use the sunscreen than to rely on the makeup base alone in the day. I’m looking for sunblock lotion for body. Do you have any recommendation? and do I need to get those with really high SPF/PA? Evelyn: No, SPF30 is enough. It is not much difference with SPF50. 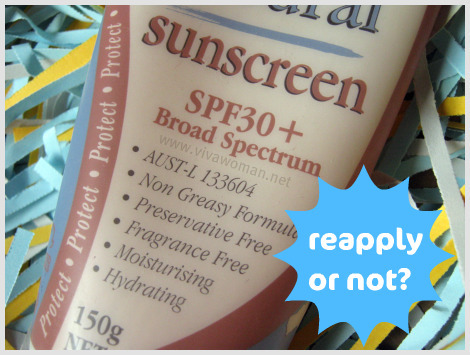 But are you keen on using chemical sunscreen?. If yes, check out the La Roche Posay Lait Veloute – see my review using the link in the article. 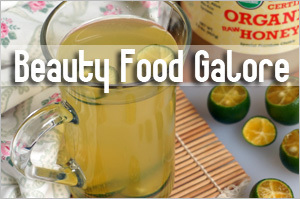 It is for both face and body and very effective. Great for outdoor sports especially. Thanks for the info, I just recently got familiar about sunscreen types from your blog. Is there any cheaper alternatives to La Roche Psay Lait Veloute? haha.. it’s abit pricey for me. Evelyn: Apart from LRP, I’m not so sure about the others and how well they protect without looking at the ingredients or PPD. For example, Neutrogena has their Helioplex range which are cheaper but I can’t say how well they’ll protect you against the sun rays compared to the European ones. I’ve been following your blog and I must say you have an abundance of information to offer so thank you. I, just like you, am seesawing back and forth between zinc oxide and mexoryl. I have combination skin, with a very oily T zone just like you. So it seems you have two sunscreens that you *mainly* use right now, which is La Roche with Mexoryl. What do you use for Zinc Oxide sunscreen now? 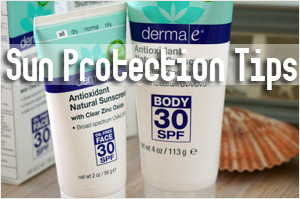 UVA protection is what keeps you from getting pigmentation problems right? According to the chart you posted Zinc Oxide also has both strong UVA and UVB coverage. But you just really never know lol. Also, have you tried Erich Kreider’s sunscreen yet? Teri: Hey, I’m glad to know you find some of the info here useful. 🙂 On a daily basis, I use my mineral sunscreen with zinc oxide because I spend 90% of the time indoors. If I’m heading out to the beach or swimming, then it’s the LRP one with Mexoryl. So about 85% of the time, I use the mineral sunscreen with zinc oxide cos it gives me peace of mind in terms of what I put on my skin (less chemical stuff). As for the chart, yes, zinc oxide protects against both UVB and UVA rays but it seems that based on what I’ve read, it really depends on how much you use. They also don’t test the ingredient in terms of how well it does in terms of protecting pigmentation under an onslaught of sunlight. I read that 17 – 18% zinc oxide may only give a PPD 8 – 10 although that is sufficient for most of our daily activities like walking to the car, or walking a short distance under the sun. But, one thing to note is that your mineral sunscreen formula may have other ingredient that protects against the sun rays eg. 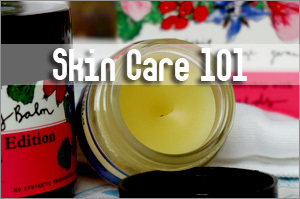 green tea, seabuckthorn oil, raspberry oil, shea butter, etc. The difficult part I find through my readings is that all the findings are scattered, in part because of the different standards worldwide. So in terms of comparison, we see mostly the FDA monograph that only include Ecamsule (Mexoryl SX) at the moment. It does not compare with Mexoryl XL nor Tinsorb from Europe. Yeah, that definitely sounds like a good idea the way you are switching the sunscreens up depending on what you do. I also imagine that Mexoryl takes about 20 minutes to start “working” because it’s a chemical sunscreen right? I think I might do what you do as well with the alternating with Mexoryl and Zinc Oxide because with the Mexoryl, you actually know specifically that it’s PPD is 28, which comforts you. I also heard Blue Lizard is reported at PPD 10, which is great too but if the scale is linear, UNLIKE spf, then that’s still quite a difference for those of us with pigment issues. Every little bit helps! Do you know if the PPD scale is similar to the SPF scale in terms of efficacy and increased SPF? From my understanding SPF is NOT linear, SPF30 only gives you a modicum of more protection than SPF15, perhaps PPD works the same way, and the PPD28 is not dramatically more shielding than PPD10 from the Blue Lizard as it sounds. The chart you posted comparing the UVA protections of Ecamsule and Zinc Oxide show that they possess *full circles*, very extensive UVA protections. That could be true, but I really do wonder which one the more superior. I was reading another article a second ago that stated in tests, with Zinc Oxide, Titanium Dioxide, another UVA chemical sunscreen, and Mexoryl that Mexoryl outlasted all those ingredients by 2x in studies. Exact numbers of PPD for Zinc Oxide and whether or not the scale is linear, unlike SPF’s, would really help! I really hope in the next few months they will compare these two ingredients, for those of us like you and I who DON’T want to settle for just *second best*. I also wonder what Kabana’s PPD would be tested as, since they use 25% Zinc Oxide. Blue Lizard uses from 6-10% Zinc Oxide, and sometimes a bit of Titanium Dioxides(offers just slight UVA protective according to that scale), so perhaps Kabana sunblock offers more PPD with the superior percentage of active ingredients. I have not tried Kabana sunblock yet, but I like what they have to say on their homepage, the science seems very logical and makes very much sense to even someone as slow as me! Especially the piece about the Mexoryls. I have very oily skin(currently on Accutane) but I will try Kaba sunblock and let you know how it works for me. But to be completely honest I feel most of my oil-related problems(big pores, blackheads) come from inadequate sun protection as opposed to having a slightly oily, or rich substance/cream on my face. I am definitely willing to sacrifice having a more “greasy” appearance if it offers me better protection since I can always just dab it off with a tissue during the day. I go out at night time anyways when I want to look “good”. Also, do you know if it’s the UVA that gives you pigment problems or is it the UVB? I used to think it was the UVA because they use Persistent Pigment Darkening(PPA) as the protector from UVA rays, but according to some of my readings, it’s the UVB that gives you sunburns and TANS as well, and of course tans are brought on by an excess of melanin production, the same thing that gives us pigment problems. Right now I am thinking it’s a combination of both UVA and UVB that gives us pigment problems. So I guess at this point, we are *assuming* that Mexoryl DOES give us more UVA protection than Zinc Oxide, but we also know that it has a bit of more side effects being as it is a chemical sunscreen. If we can discover though, in the future that if Zinc Oxide at high level percentages can offer just as good UVA protection then we should be able to figure out of the more natural, less irritating Zinc Oxide can retain its once former position as the ideal sun protection ingredient. Teri: I think both UVB and UVA contribute to the pigmentation. When you said that SPF30 only yields protection like an SPF15, I think it’s because we are expected to use a lot of the sunscreen to get SPF30 but realistically, we only apply a thin layer. I’m not sure about PPD but I imagine like what you say, maybe on the same level. It’s confusing to read about all these sunscreen information. Sometimes I get a big headache reading them. Mexoryl is always written as superior but the argument is that the data is not independent…so I’m not too sure. 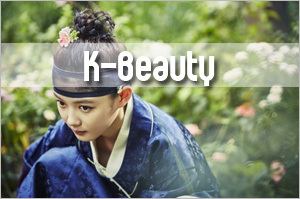 But based on using LRP’s sunscreen containing that ingredient, I find the protection to be very good. My husband who does a lot of outdoor sports under the hot sun is not tanning significantly using this sunscreen too so I believe it must be good. For zinc oxide, I recently read that it’s not just scattering the rays but also protecting from internal, like a chemical ingredient so I was quite intrigued with that info. It means it could be giving us two levels of protection. I wrote about this here http://www.vivawoman.net/2008/09/26/mineral-based-sunscreens-are-the-best/. So if this is true, we should also apply about 20 mins before exposing to the sun. Anyway, for me, I try to take more precautions either way. I use an umbrella and also a shade if I feel like it. Where do you live? I live in Singapore and the UV index here is very high! Here is where I found the article stating that Mexoryl is more effective than even Zinc Oxide at UVA. “So far the Food and Drug Administration has approved only three ingredients protective against UVA: zinc oxide, titanium dioxide and avobenzone (trade name Parsol 1789). Thanks Teri! I’ll have to read it later. I wish there is a sunscreen that contains mexoryl but not the other chemical stuff! Lucky you! I live in Sunny Side California, Los Angeles to be exact. So I get the benefit of all the horrible pollution too hehe. Not quite sure how we compare to Singapore though in terms of UV potency. No umbrellas here either though, I would love to carry one around but unfortunately they’re just not in style and I would feel really out of place if I did. I’d love to start the trend here but I’m way too self conscious! Instead I opt for UPF50 clothing. Specifically a UPF sweater with a hoody that I wear 24/7. Glasses/shades all the time as well and a ridiculous straw hat if I’m with my friends and willing to *embarrass* myself. What kind of lip balm do you use? I just ordered the Badger lip balm with SPF just about a minute ago. From my research I haven’t found a lip balm with higher zinc oxide ingredients than it. It has 12.5% Zinc, Total block lipcotz has much less with some titanium dioxide, and everything else I see has chemical screens instead. Have you ever thought of stacking a physical sunscreen on a chemica? Like maybe in really scorching areas like the beach you use both zinc oxide and mexoryl. I know that SPFs don’t stack but I still feel zinc oxide provides slightly broader protection than the mexoryls, according to that chart it provides the broadest protection and UVB rays are even more prevalent in really hot areas so I wonder if it would help if you used a zinc right on top of a mexoryl. One is physical and one is chemical, I can’t see how they would affect each other. Have you tried Mexitan before? It was another one on the list that seemed to have a great rating that I took a look at. At the time I was caught up in the SPF hype, so I purchased it since my eyes went gaga at the SPF50 rating. I actually have a bottle of it right now, love the ingredients, a whopping 22.5% Zinc and 6.0% Titanium with some pretty natural ingredients IMO, and it’s SPF50. It’s quite rich though, and unfortunately leaves a white cast. In fact it’s so rich that some of it dries and flakes off during appliance. But I can’t knock the active ingredients, 22.5% Zinc and 6% Titanium is nothing to scoff at. I can only think of Kabana with its 25% Zinc that rivals this, and I got my 8oz bottle for $20 so the price also allows it so I don’t have to worry about if I’m applying too little because it’s cheap and can *overcompensate* by applying more than usual. I’ll try the sunscreen again in the next few days though and see if I can rub it in and get it more liquidy. Maybe if I shake up the bottle and rub vigorously I can get that white cast to go away. I’ll try to look for more information on Zinc vs Mexoryl. I’ll keep you updated! Keep up the awesome blog! Teri: But where you live you get the 4 seasons! Over here, we’re perpetually hot and humid all year round except maybe for the year end. 🙁 That’s why carrying brollies are okay, not too bad. Wearing hat would be odd for us though. For lip balm, I’m currently using Yes To Carrots but it has no SPF. I never really went all out to use lip balms with SPF actually. If they have it, great. If not, I didn’t mind. But if I head out to the beach, then I rub some of the sunblock on my lips. I have a little LRP stick which is good for eyes and lips so that’s what I use if I need to. It has Mexoryl and is SPF50. For stacking, no. I’m a bit particular in terms of what I slap on. I did try occasionally but it’s just a short time frame. I’m not sure if it yields much better protection. What I was more particular about was applying frequently. When I head to the pool on a hot day, it’s every half an hour! Never heard of Mexitan until now. I notice it has titanium dioxide and I try to avoid that in my sunscreen although I still use foundation with titanium dioxide. Btw, is it drying cos it has 22.5% zinc oxide. I recently used the UV Natural Sunscreen with 24.8% zinc oxide and it’s drying for me. i wanted to ask how would you be able to maintain your sun cream every four to eight hours re applying throughout the day if you have make up on? would that mean i have to take off all my make up and re apply sun cream and make up all over again? what is the appropriate way? 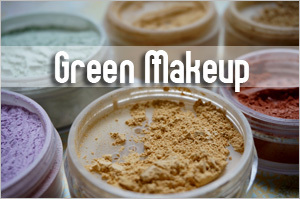 i use everyday mineral make up base, the ingrediants both include zinc oxide and titanium dioxide. Lilo: It’s almost impossible. What I do sometimes is to dad the sunscreen on top of my makeup but as you can imagine, it isn’t ideal. I recently attended a workshop and understood why it might be good to use an oral sunscreen like Heliocare for this reason. I think your blog is wonderful, Sesame. Beautifully laid out, keen, intelligent and informative. Thank-you! I live in LA and it’s sunny almost every day. I’ve been on this mission for the perfect sunscreen for the past few years. I am daunted by all the conflicting information available so i think it takes a combination of team work (between us unbiased ‘civilian scientists’) as well a lot of personal testing. 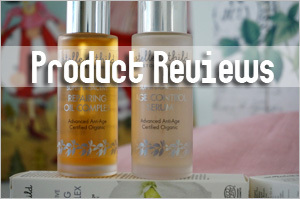 Unfortunately, trial and error has it’s downfall – sundamage months or years later. How can we truly determine what is ‘natural’ aging process and what is due to using a sun protection product that doesn’t live up to it’s claims? In any case, i’m going on a sun/swim vacation in two weeks and i’m determined to bring the best ss i can get. i’m willing to use a chemical sunscreen if it has better sun protection potential. besides, i would only use it for emergencies LOL like swimming or when the family insists i come out of the shade at noon to play. Lastly, forgive me if you posted your review of Kabana ss already, three hours of reading later i’m a bit overwhelmed. The ingredients seem clean and effective but i have not tried it yet. Would love to know your take. Thanks for your comments about the blog! I’m glad you find some of the info here informative. If you’re going to be out in the sun, I would highly advice you to use oral sun protection in addition to using an effective sunscreen. My family has been taking Heliocare for a month now and it’s really good in terms of the added protection. 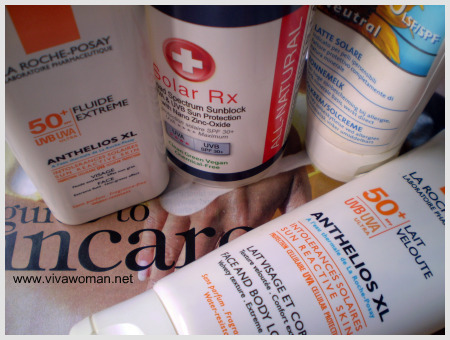 I wrote something about it here http://www.vivawoman.net/2009/05/12/heliocare-sun-protection-from-inside-out/. For sunscreen, I would bring a La Roche Posay Anteholios XL which is water resistant. This is a chemical sunscreen. I would also recommend Shiseido sunscreens (sports version) but that one needs a special cleanser. But if your skin is sensitive to chemical sunscreen, UV Natural Sunscreen (which I’ve reviewed before) or Badger sunscreen would be ideal too. Yes, my first choice of mineral sunscreen is currently Marie-Veronique Creme de Soleil. It is good for daily wear. Second choice is UV Natural because it worked well for me, but you need to make sure it’s properly cleansed off. I haven’t tried Kabana sunscreen. 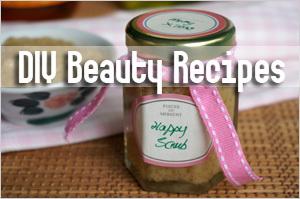 I’ve read a lot about it and it looks wonderful but the ingredients seems quite rich for my face. But like I said, I haven’t tried so I’m not sure. I hope this information will help you to get some good sun protection during your vacation. The Heliocare is really good – my husband who is an avid swimmer didn’t look tanned at all after 2 hours under the hot sun! Thanks for the helpful response. I ordered all three Marie Veronique sunscreen products but, much to my dismay, they all had a colored ‘tint’ to them that i didn’t care for. I don’t wear foundation because i like the glow of ‘naked’ skin and i found the MVO products dulled that glow. On the other hand, the smell, texture, and ingredient integrity was really impressive. Until i find something more suitable i’ll be returning to my top pick in regards to mineral sunscreens. It is a beautiful product, however, i’m not absolutely confident that it’s the best form of zinc oxide in regards to optimum protection and that of course is my goal. You may love this product actually because it’s very similar to MVO’s products – very clean and natural yes sophisticated. 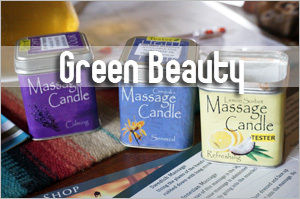 The product is made by a lovely Ayurvedic doctor by the name of Pratima Raichur. Her line is called “Pratima” and the product is called Neem Rose Face Sunscreen 30. I’m wondering how you feel about miconized zinc oxide 18.6% as the active ingredient compared to other forms of zinc oxide. I’m also wondering if you beleive that the other so-called inactive ingredients in a ss support the sun protection potential. In other words, after we confirm that the active ingredients in a product are natural enough for us then do we simply need to assess the type of active ingredient or does one support the other. And FYI, the other ingredients are ionized water, extracts of neem, brahmi, shatavari, licorice, vitamin e, lecitin, rose essential oil, and zanthan gum. Hi Patricia: Those without the tint were more whitish for me when applied, especially Creme de Jour. But yes, they don’t blend in completely. I’m trying the Daily Defense from Living Nature and finds that one blends in better. But I have no idea what’s the percentage of zinc oxide like for that. The sunscreen you mentioned sounds interesting! I’ll check it out soon. Micronized zinc oxide is okay for me, though I prefer those that are non-micronized. I read somewhere that when zinc oxide is micronized or made into nano particles, they lose some of the efficacy. Not too sure though. About the other inactive ingredients, I believe they do something to aid the sun protection. Those that you mentioned plus sea buckthorn oil, green tea, raspberry oil, etc all do something to protect our skin from the UV rays. I believe they support the zinc oxide or titanium dioxide used and enhance the protection level. Hi! 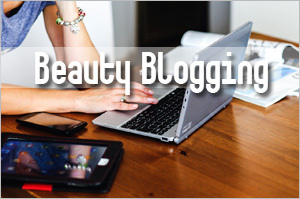 New to your blog and LOVE it!!! But wondering… can you tell me how/where to order the european type sunscreens with Mexoryl SX, especially if there is a more natural one. I don’t know if you get yours when you travel or are able to order them. I have searched high and low to find a Mexoryl SX natural sunscreen and pay with US dollars but have been unsuccessful. Can you help me? I believe La Roche-Posay is available in US or at least online? Their products contain Mexoryl SX…the Anthelios series. Do a google search for the store. Otherwise, then amazon should have the products. Oh forgot to specify, do you know of a mineral free Mexoryl SX sunscreen? trying to stay away from the titanium dioxide and zinc oxide. Not that I’m aware of…most of them seem to contain Titanium Dioxide. Got it. Thanks so much!! Hey, I really like your blog! It’s great! I, too switch between chemical and physical sunscreens. I’ve used some of the best all-Zinc Oxide sunscreens available, but I feel with even fomulations like Kabana Green Screen ( 25% Zinc Oxide) don’t match up to the UVA protection I get from Bioderma Photoderm Max. It has both Tinosorb S and Tinosorb M, which offer really good broad spectrum protection. The formulation I use has a PPD rating of 35. You’re probably right about chemical sunscreens offering more protection though it depends on the formulation. I prefer to use physical for daily wear though. There are 2 mistakes in what you were saying. The first was that spf 15 block 95 percent of rays. Spf 15 blocks 93.The source that says 95 is wrong. The second thing that was wrong is that you think chemical sunscreens are good for hyperpigmentation. If you do your homework you will find out that derms don’t recommend chemical sunscreens for rosasia/hyperpigmentation and freckling skin. I should add that chemical sunscreens make rosasea/hyperpigmentation/freckling worse!